Hei, mukavaa sunnuntaita! Kaksi rippikorttia uusilla Penny Black tuotteilla. Samalla muistuttelen, että ehdit vielä osallistua kesäkuun Penny Black and more haasteeseen: "Kaikki käy, leimaten!" Hi, happy Sunday. 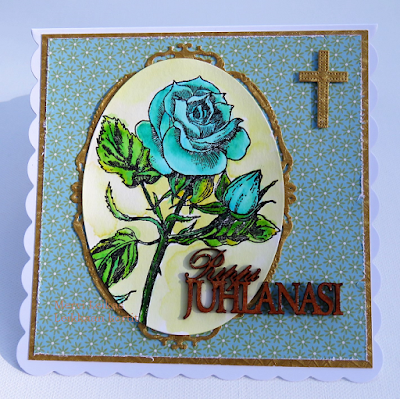 I made two Confirmation cards with my new Penny Black goodies! "Anything goes with stamped image". wooden Confirmation text, coloured with Distress Inks and embossed with clear embossing powder. Both your cards are beautiful Mervi ans impossible to choose a favourite. Summer eventually arrived here and it's 32 deg today. Two really gorgeous creations Mervi. 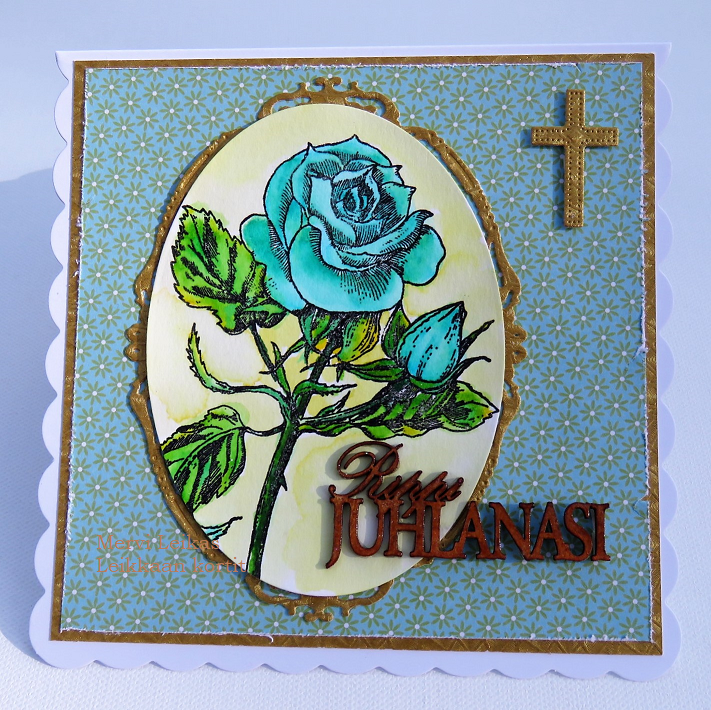 Thank you so much for sharing your lovely creation with us at Sparkles Monthly Challenges. Two fabulous cards, love the image. Two beautiful cards Mervi! They are both so pretty. Same stamp and two such different looks, both so beautiful, your papers complement the image so well. What beautiful cards! Pretty flowers and colours. Thanks for joining us at NSHK. two beautiful cards mervi! your rhododendrons look gorgeous too. and i like the changes you've made to your blog. Beautiful coloring of that gorgeous rose! So glad you joined us at PBSC!